VaporFLEX protects residential and commercial buildings from water vapor damage. 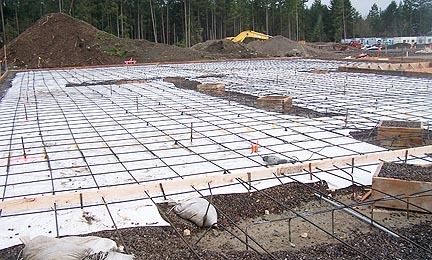 The VaporFLEX® product line has been designed to perform as a highly effective vapor barrier that impedes the infiltration of moisture and water vapor through concrete slabs and foundations. VaporFLEX® is used to discourage mold growth and to prevent harmful vapors from migrating through the concrete into building interiors. 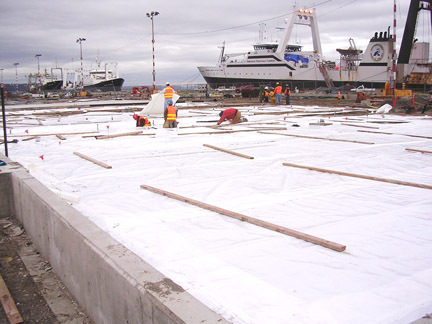 It exceeds all of the standards for a CLASS A vapor barrier as set out by ASTM E1745 requirements. 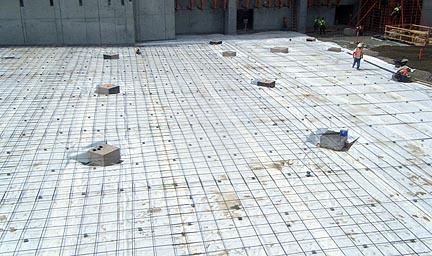 The Class A is ASTM's highest performance standard for "Water Vapor Retarders Used in Contact with Soil or Granular Fill Under Concrete Slabs." VaporFLEX® vapor barriers are available in both a 15 mil and a 10 mil thick variation, each exceeding the physical requirements of ASTM E1745. They are available in easy-to-use rolls, 12' x 150' and 15' x 196' respectively, making them easy to transport and install. VaporFLEX® is readily available through any of our Western U.S. locations, Canadian locations, or various National Distributor accounts.